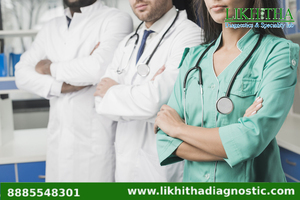 Likhitha diagnostics are well-known diagnostics centers in Kukatpally that deliver quality services to there customers. The diagnosis is performed by skilled professionals with help of advanced technology that helps in delivering quality services with timely reports. We have the best health packages at affordable rates. contact us today.